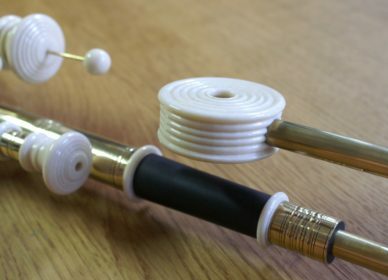 Chanter top with stop key in brass and imitation ivory. 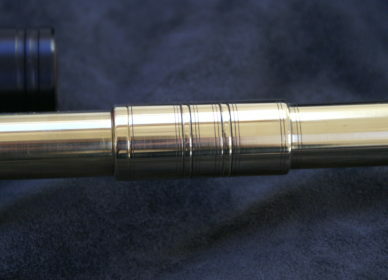 This particular design requires four solder joints onto the main tube itself. This involves using silver solders of different melting points, allowing a joint to be made without undoing the previous work. 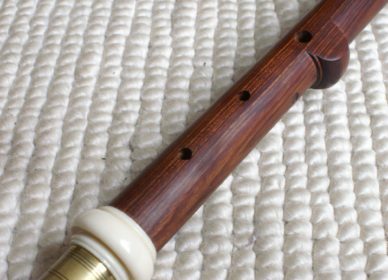 The long key is made up of three sections allowing the key to clear the central chanter mount without bending the metal. It also give a very elegant line to the mechanism.